Capes are mandatory for fighting aliens. 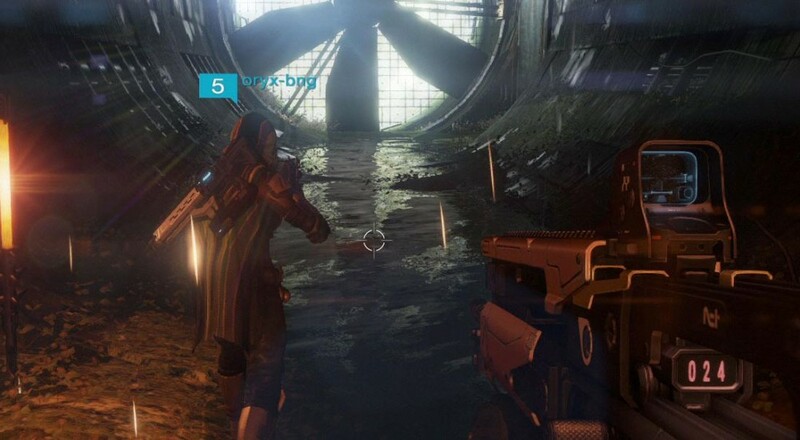 It's already common knowledge that pre-ordering Destiny gets you into the beta weeks before the official launch. Bungie confirmed those who pre-order the game on the Playstation 3 or 4 will receive beta access before those who exclusively own Microsoft consoles. While this might not make consoles fly off the shelves, it is a nice treat for any Sony households interested in four player co-op. Check out the trailer that came alongside the announcement. Battling aliens in a half decimated structure on the moon sure does look like a lot of fun. I've long felt we, as a people, have not had nearly enough games where your character can punch the ground and vaporize all of the adjacent enemies. I still think everybody who uses the phrase "Playstation Nation" should be ashamed of themselves, though. There is still no word if beta characters are going to carry over to the released product or not yet. It would be unfortunate to work your post-apocalyptic space survivor into a grizzled, alien killing veteran, only to be devoured by the servers doing a hard reset for launch. You would think after making a ton of Halo games those folks at Bungie would be eager to branch out. Sure enough, 343 Studios took the reigns of the beloved franchise and Bungie sought out new and exciting opportunities. And then they make a sci-fi first person shooter. I guess it's good to develop what you know?